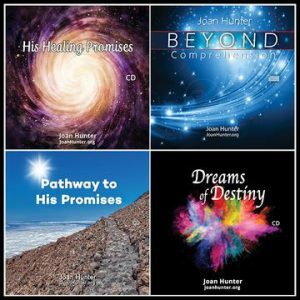 His Healing Promises is a selection of scriptures on healing read by Joan Hunter with soaking music behind it. It is amazingly powerful and life changing. If you need encouragement about your healing or faith to trust God in a difficult time, this is for you! As you listen to this, your spirit will be lifted, your hope restored, your body will be healed and the atmosphere in your house or car will be revitalized. Our Father God is looking and searching for His Bride to be made ready. He is looking for His Bride to be without a spot or a wrinkle. He is searching and what He sees is nearly heartbreaking. His Bride is being unfaithful. She is toying with the things of this world. She is no longer focused on her purpose or their relationship. Rediscover a real relationship, one that is truly Beyond Comprehension. Enjoy a fresh and personal message from the heart of God through Joan Hunter! This is a time in which the power of God is being released and His many gifts and destinies are being realized on the earth as never before. We need to be aware of His destiny dreams for our own lives and align ourselves with them. 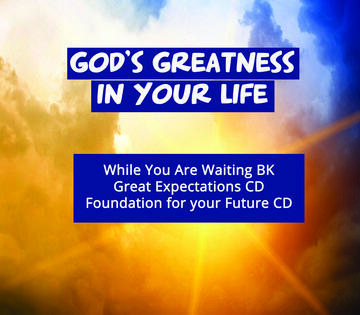 This cd will show you how to align and how to enter into the abundance He has designed for each of us.